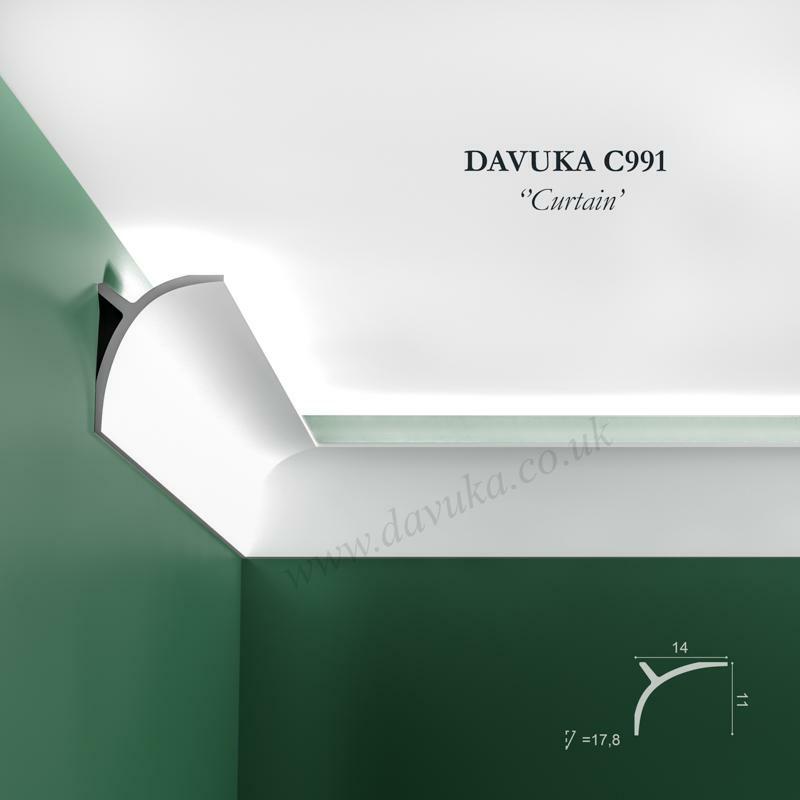 Decor C991 ‘Curtains’ – a contemporary cornice for a multitude of applications. 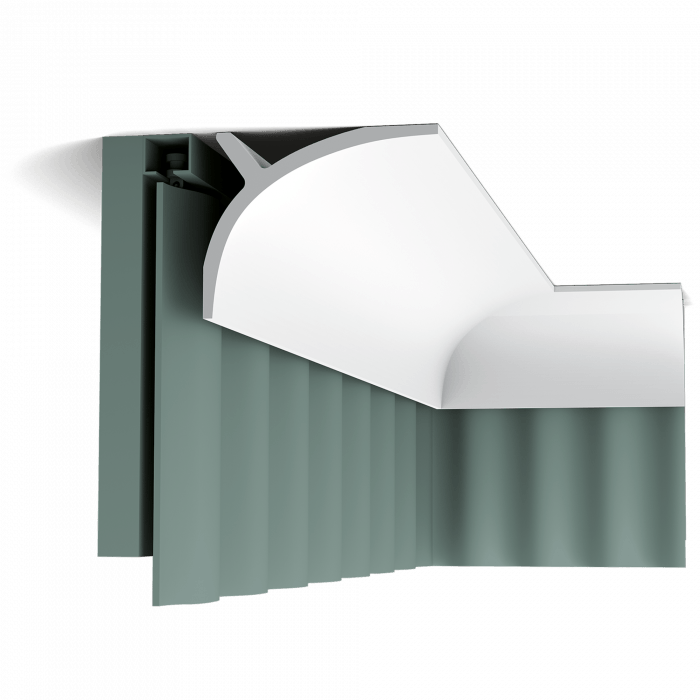 With the additional adhesion point, this profile can perfectly hide rails or poles etc to allow the free running of curtains behind the profile without having to end the cornice line. 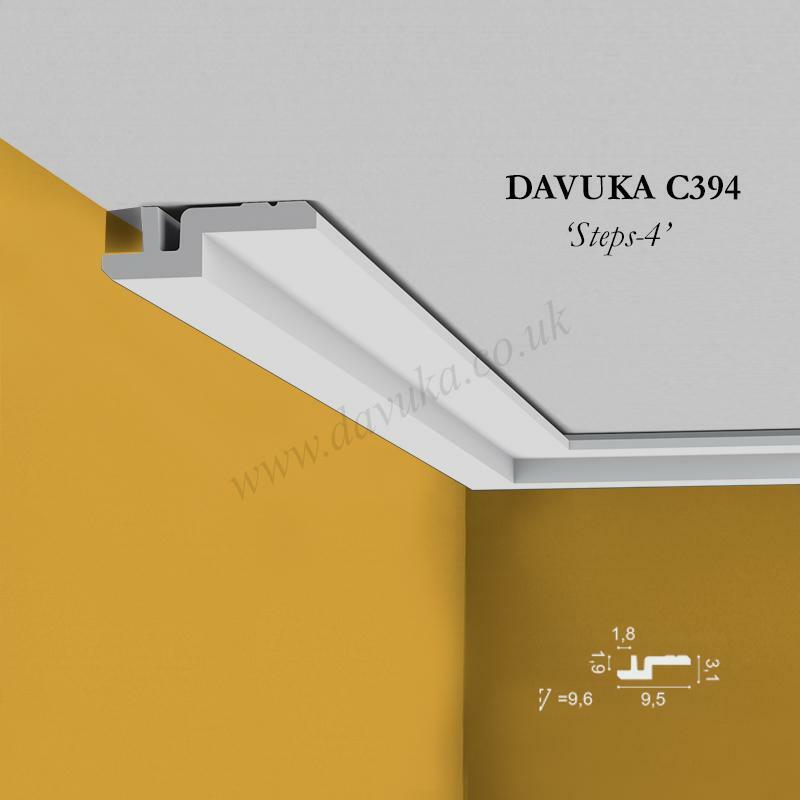 Can also be used as a wall up-lighter with the addition of LED lights. 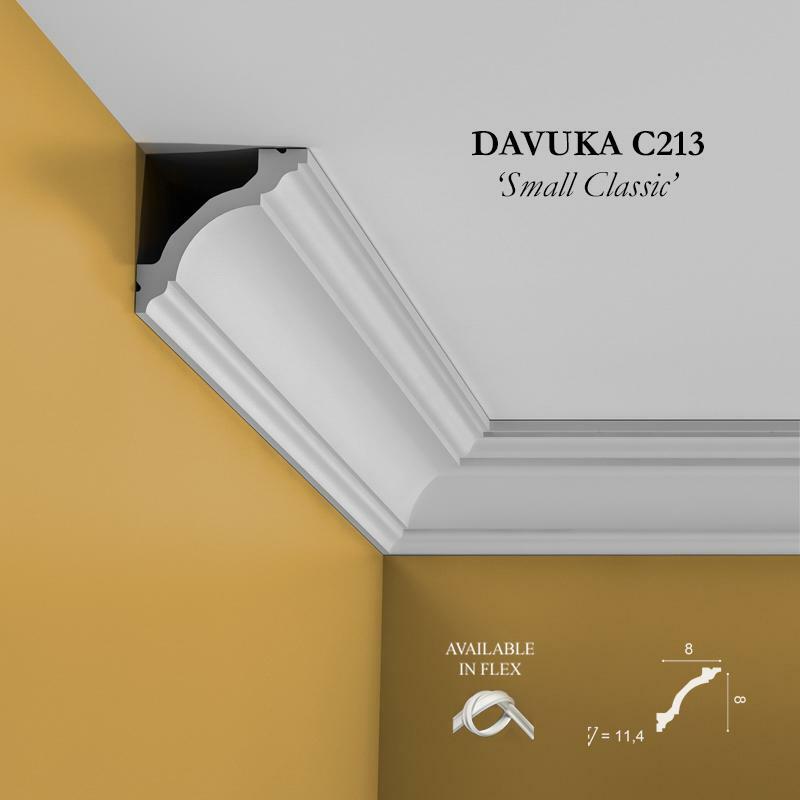 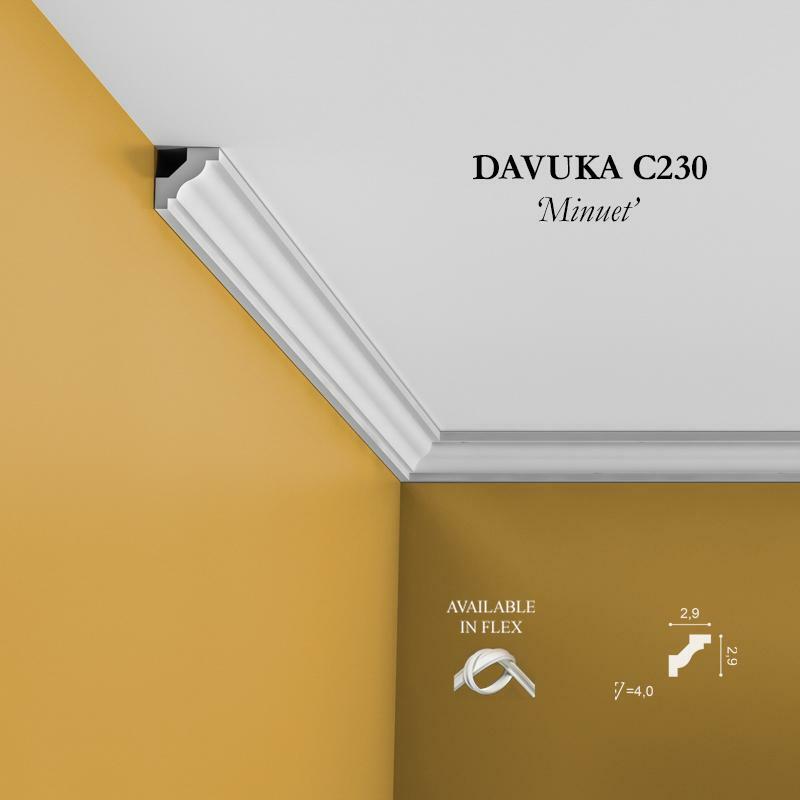 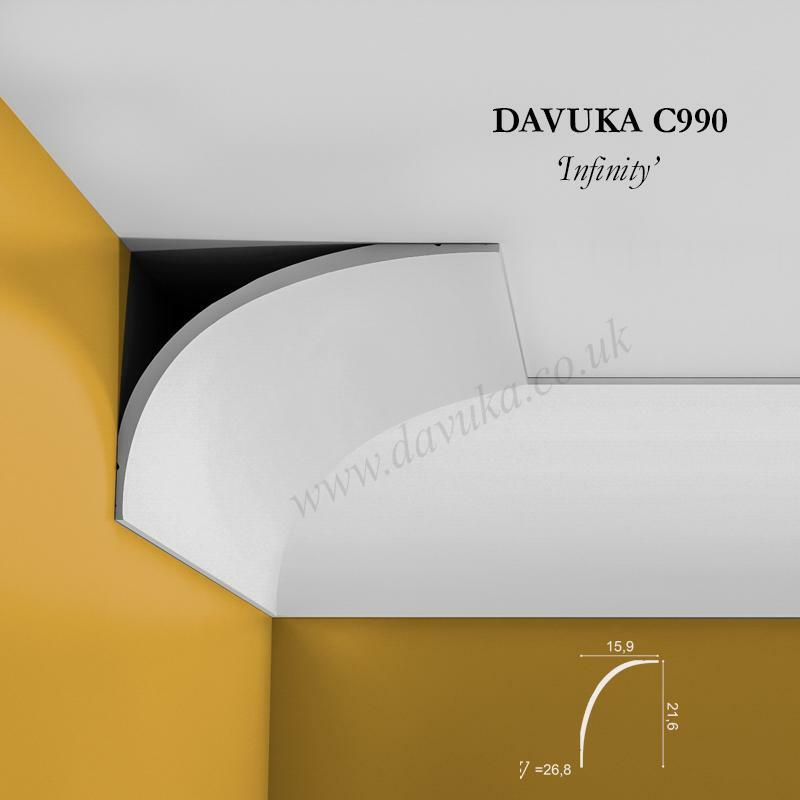 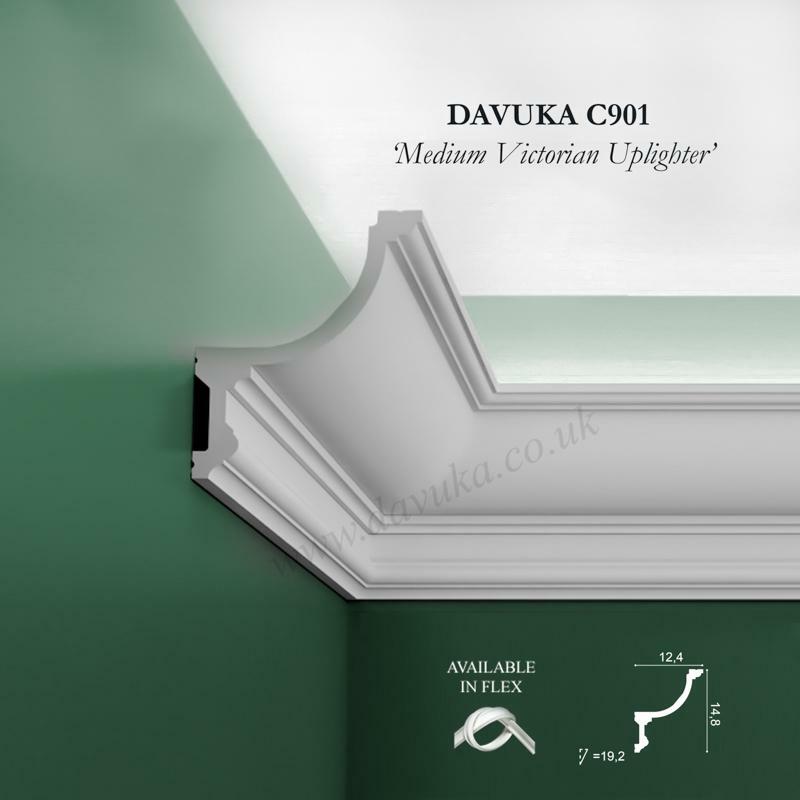 Using Correct Adhesives for the C991 ‘Curtains’ cornice – IMPORTANT!